Hi-tech Bank - a young and open Bank convenient for your work and life. The main goal of our team is to create the most comfortable conditions for the use of banking services for our customers. 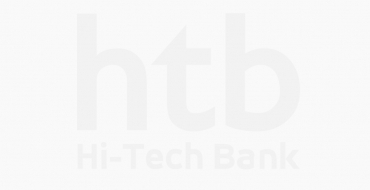 • Hi-Tech Bank has a unique service – online account opening which allows you to apply for account opening via the Internet (official site www.htb.uz Telegram @infohtbuz, Facebook @hitechbank) or by phone (+(99871) 150-33-66, 150-11-33), then our Bank manager comes to you, deals with the execution of all documents and open an account. • Hi-Tech Bank has an agreement with the best accounting and legal companies of Uzbekistan. Thus, if the client needs accounting and/or legal support of business in terms of outsourcing, we are ready to provide these services at great rates. • Hi-tech Bank team is suitable to service each client individually and meet all his demands for banking services. For better communication between the Client and Bank, we provide the client with a personal account manager who solves all banking questions. • Hi-Tech Bank always in touch – our call center is open around the clock. • Hi-Tech Bank team works for the best for the customer rates in the market. • Hi-Tech Bank has its own mobile and Internet banking that allows the customer to manage their accounts from a convenient device. • For the convenience of customers, the team of Hi-Tech Bank is working without a lunch break. Hi-tech Bank sets the standards for the banking market, providing its customers with a full range of financial services using technological solutions and providing a high level of service.